Dr. Natasha Campbell-McBride created the term GAPS (Gut and Psychology Syndrome or Gut and Physiology Syndrome) in 2004 to describe the plethora of health problems that stem from an unhealthy gut. 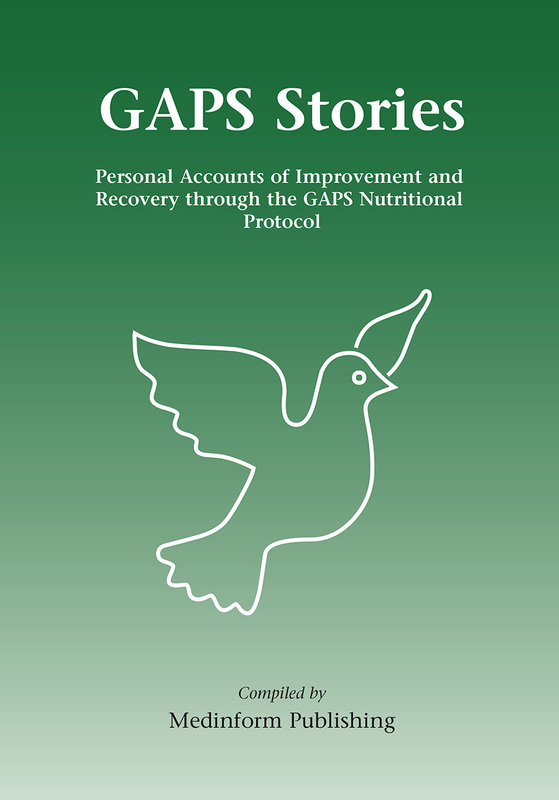 Since developing the GAPS nutritional protocol, Dr. McBride has received letters from GAPS sufferers all over the world: stories written by real people who have overcome their real health problems. Every one of these people has learned valuable lessons on their healing journey: lessons they are keen to pass to others who may be struggling through the same difficulties. These stories can be utilized as case studies for how to progress through personal healing and how to deal with problems that one may have to face along the way. There is nothing more valuable than real life experience! Those who have lived through something, fought the battle and won, know what is true and what is false, what works and what doesn’t. Many of these stories are humbling–the kinds of horrific problems that people have had to deal with are hard to imagine for the majority of us–yet told with humor and grace!